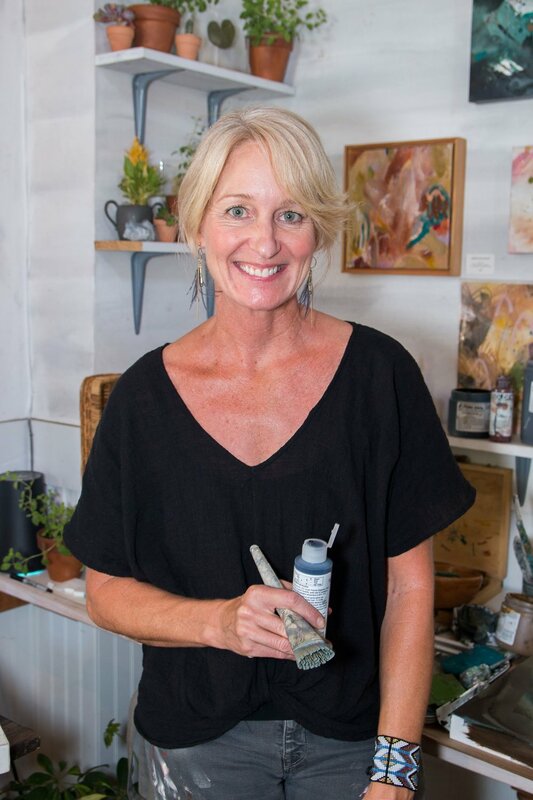 Inspired by her current "Pacific Coast Highway" series hanging on all the walls here at SOURCED., Jennifer McHugh will be joining us for our last event ending her 2 month Artist Residency with a special “Happy Hour” workshop. Attendees we be lead through an interactive exploration in abstract painting with several color palettes to choose from. Everyone will choose a favorite spot along this iconic road and create an abstract rendition on a 10x10 canvas. This is a unique guided experience, as each person will create his/her own painting, rather than everyone painting the exact same artwork. Wine and light snacks will be served...the perfect creative happy hour before heading out for dinner!